Craft Beer and Brewing Magazine sponsors this annual workshop at which Mary Brettmann shared her presentation, Business Advice for the New (and not so new) Craft Brewer. This talk will focus on balance sheets and how they are used in a craft brewery. The tasting room is a large part of many breweries but is often overlooked when presenting financial statements. This talk describes the essential elements of solid hospitality accounting with an eye towards the effective implmentation of a POS system. We also discuss the POS system lifecycle so you can see where you are been and where you need to go. San Diego State University's Business of Craft Beer program reflects the explosive growth of the craft beer industry in San Diego, the current Craft Beer Capital of the U.S. Mary is speaking in week 2. She will be focusing upon the essentials of accounting and finance. So you brew great beer? Do you know what it costs to produce, how to manage/order ingredients, and price for different distribution channels. How much capital do you need to survive? What’s the best corporate structure to protect you from liability while attracting investors? What are reasonable growth goals for a new brewery? In my practice, I often see owners who have a lot of questions regarding their books and accounting in general. Our Goals: understand the basics of inventory, know where to get started, and showcase cool tools for inventory and production. Congrats, you've been handed the best job in the world! Now how can you be successful in craft brewing? 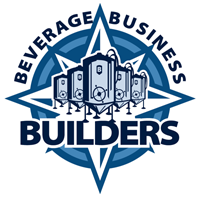 Whether you are an already existing brewery or one in planning, join Mary Brettmann from Beverage Business Builders as she breaks down the foundation needed to build a strong accounting system.